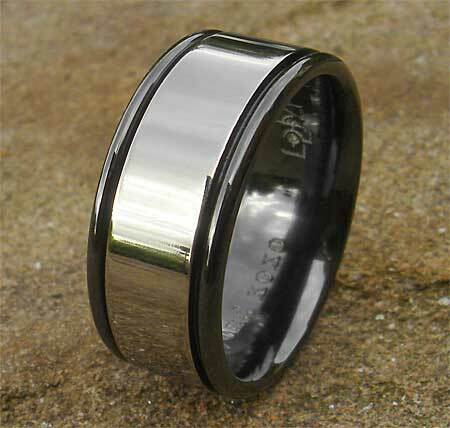 Men's Unusual Wedding Ring : LOVE2HAVE in the UK! 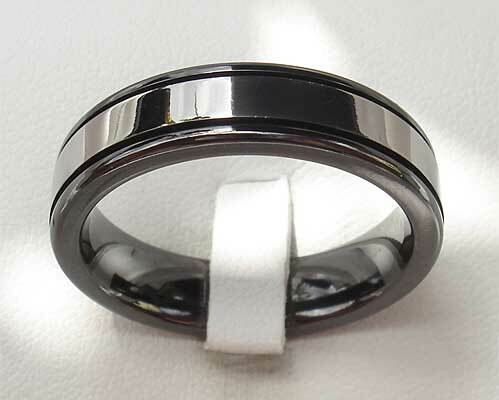 A fantastic two-tone zirconium men's wedding ring which pictured here is approximately 5mm in width and comes with a bright natural colour and two black outer rails. The black exterior rails are curved in shape and separated from the silver coloured centre by grooves. The two-tone appearance that can be created using zirconium can also be polished into different finishes even including the almost mirror-like surface on this ring. We love the polished version as pictured, but satin is also available too. Together with the black surface, you get an excellent contrast in colour which gives this ring its two-tone look. 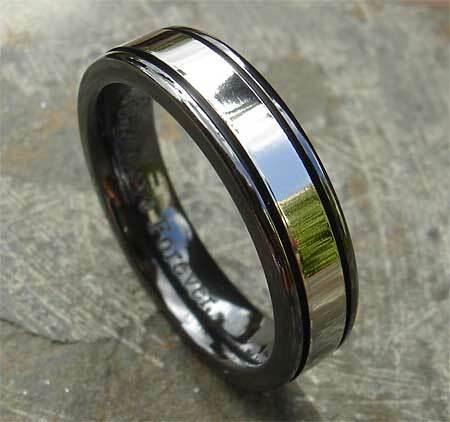 Many wedding ring styles for men and women are available with these types of finishes, and zirconium is unbeatable when it comes to quality, price and appearance. Width(s) Available: 5mm to 12mm.